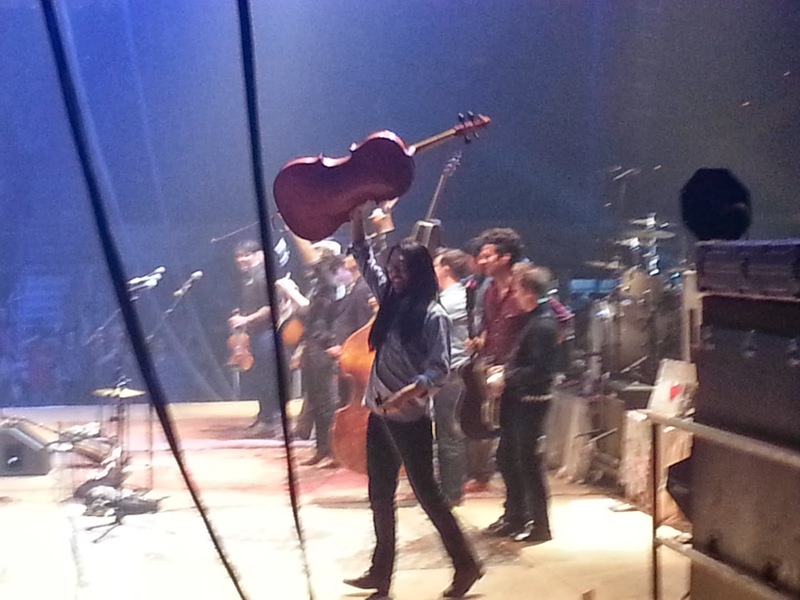 The Avett Brothers were playing in Pittsburgh last night, so we decided to head east to check them out. They are touring for their latest album, Magpie and the Dandelion that came out in late 2013 which was produced by famed musical visionary Rick Rubin. They were in Cleveland not long ago at the end of the summer and in Chicago late last year in which I got to see them as well. 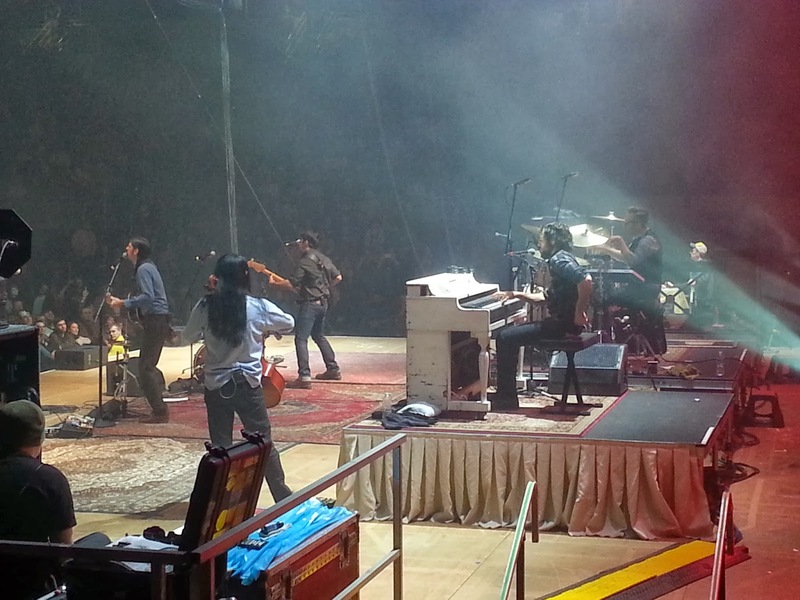 They are an impressive live band, in which Scott and Seth Avett trade acoustic and electric guitars, banjos, and piano. They are joined by Bob Crawford on the stand up and electric bass and Joseph Kwon on the cello. Yes, you read right, banjos and cellos. 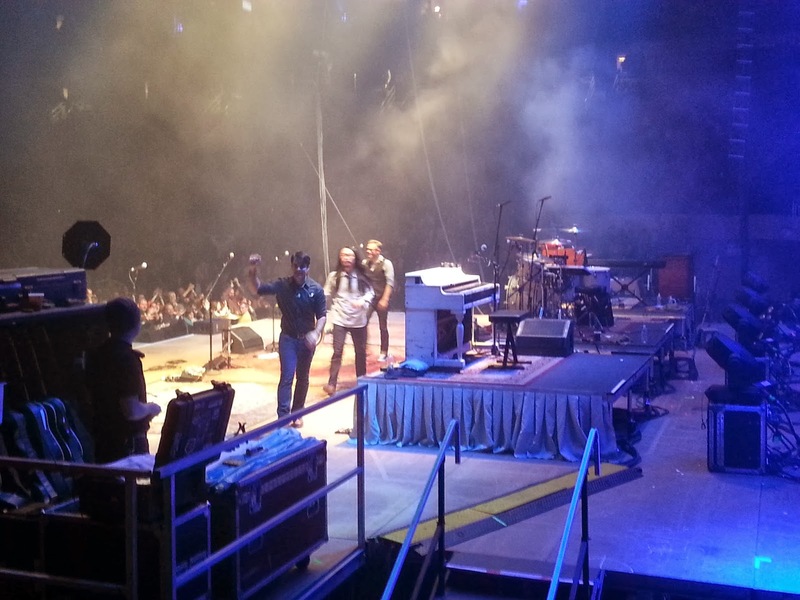 They run through their gambit of talents while performing some of the best folk rock out these days. 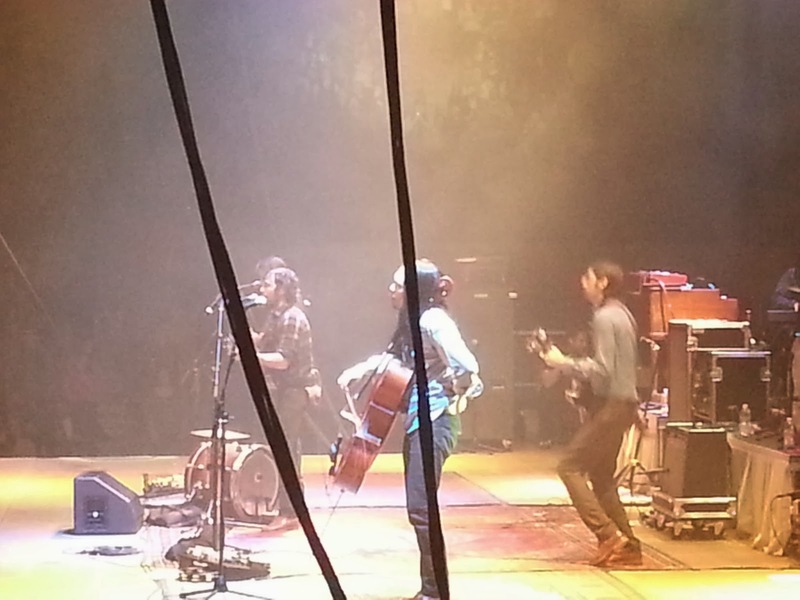 Scott and Seth Avett started out strong with classics Talk on Indolence where they traded lyrics rapidly and fiercely. Seth strumming aggressively on the banjo and Scott on the acoustic guitar. 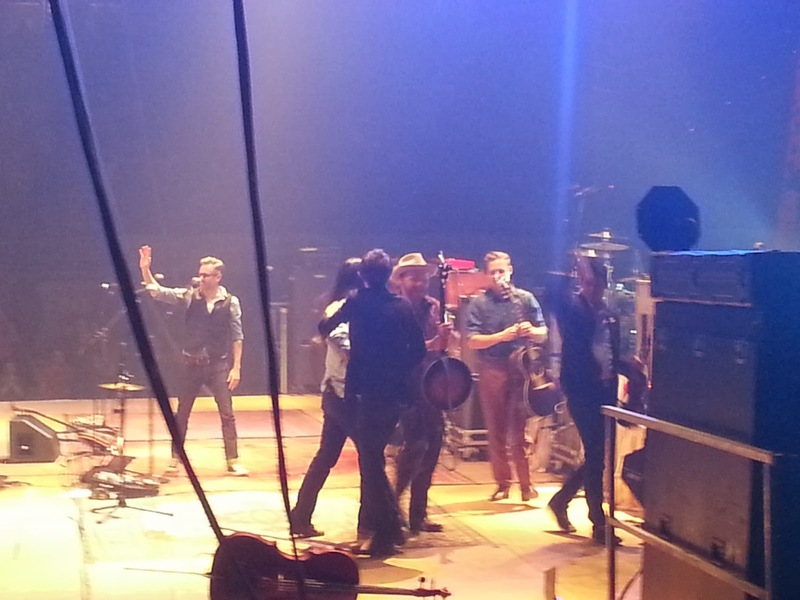 They kept the pace up with Thank God I'm a Country Boy a classic made famous by the legendary John Denver and becoming a staple of Avett Brothers show. They began to slow it down a bit on the third song and played Live and Die, which picks up mid song. The brothers dualed on notes and dance moves while jamming out to each and every song. 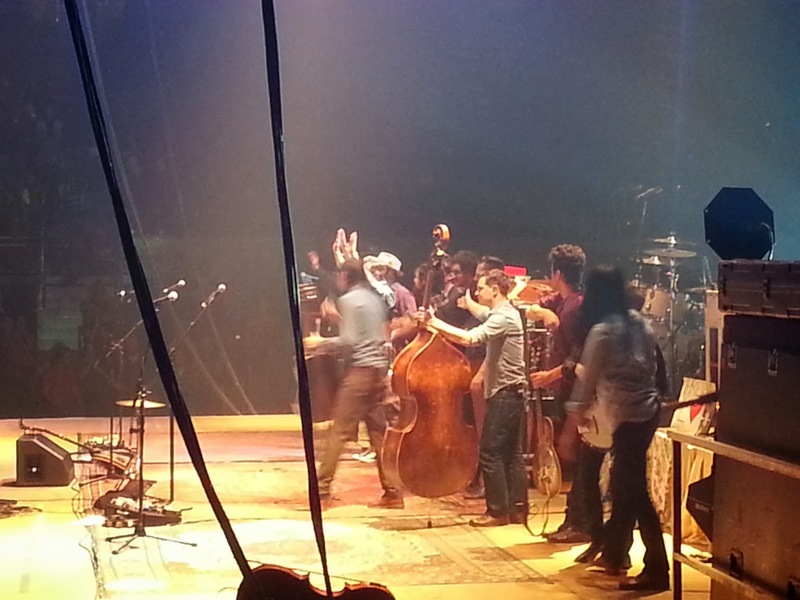 Scott doing his best toe tap while grooving with the guitar and Seth jumping up and down feverishly matching the up and down strumming on his banjo. A few more songs in they went into Pretty Girl from Chile, one of my favorites. 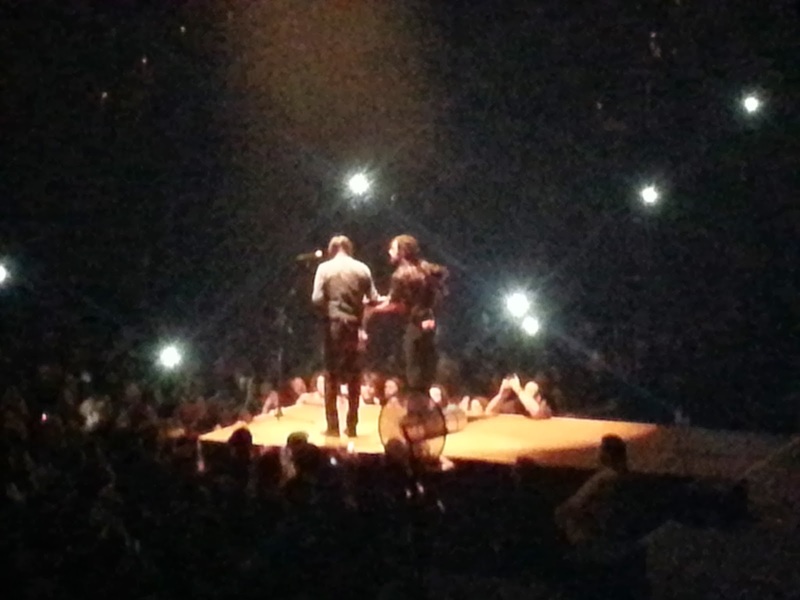 They set the pace of the song acoustically and then broke out the electric guitar and bass and rocked the rest. 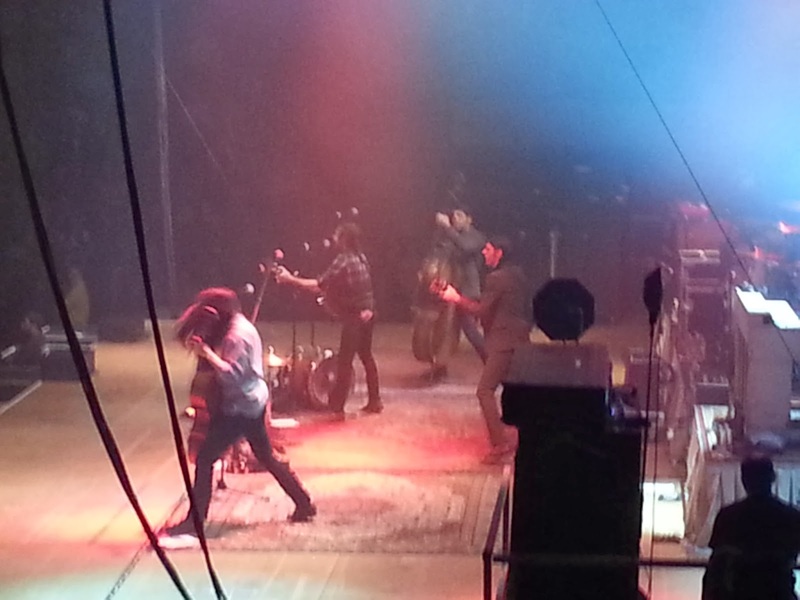 Chile was followed by another Avett staple, Murder in the City. 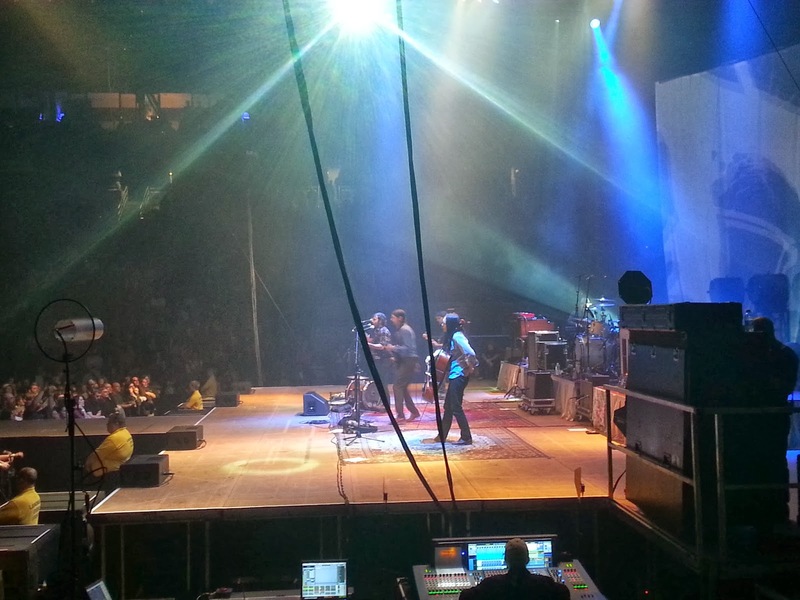 The crowd sang along to every note creating a perfect folk rock environment in the Petersen Events Center. 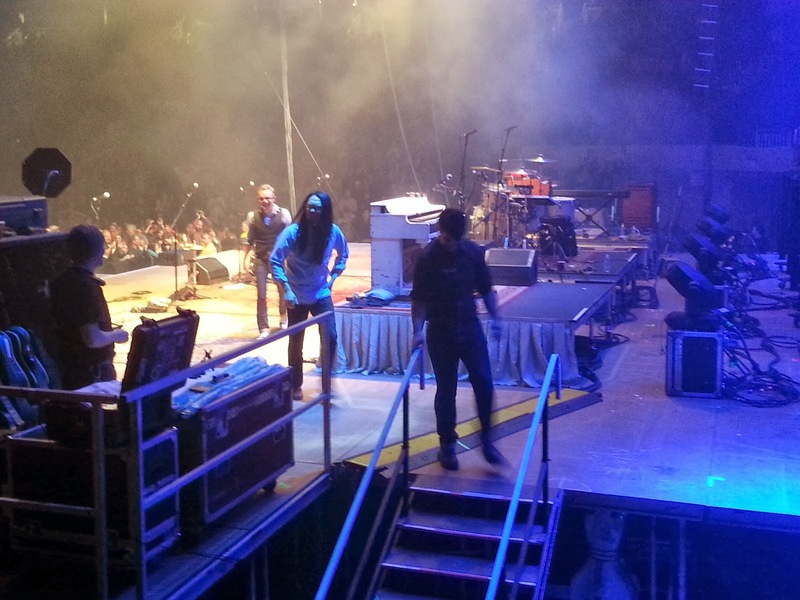 They finished strong with Scott performing a song off the new album, Vanity and ending with I and Love and You which made the crowd wanting more. 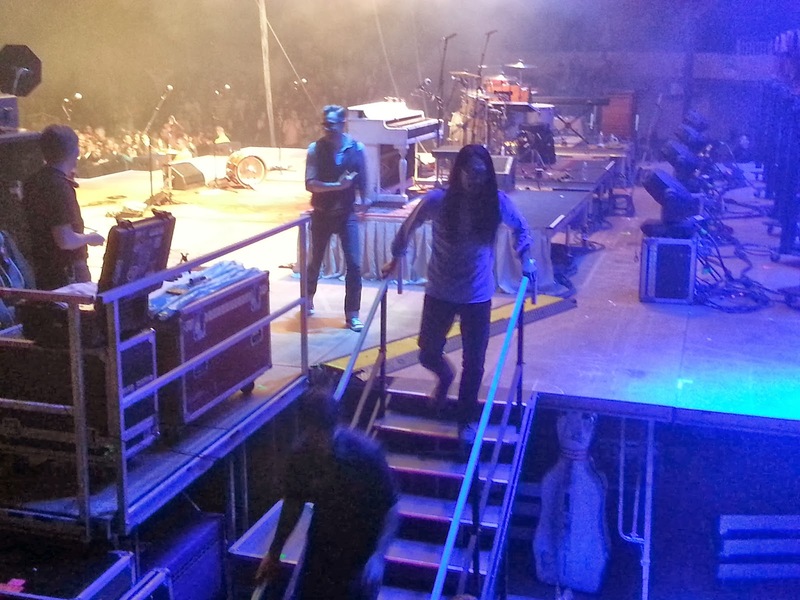 They took off back stage for a few minutes all the while with the crowd insanely cheering for the encore. To everyone's pleasure they came back out to perform four more songs. 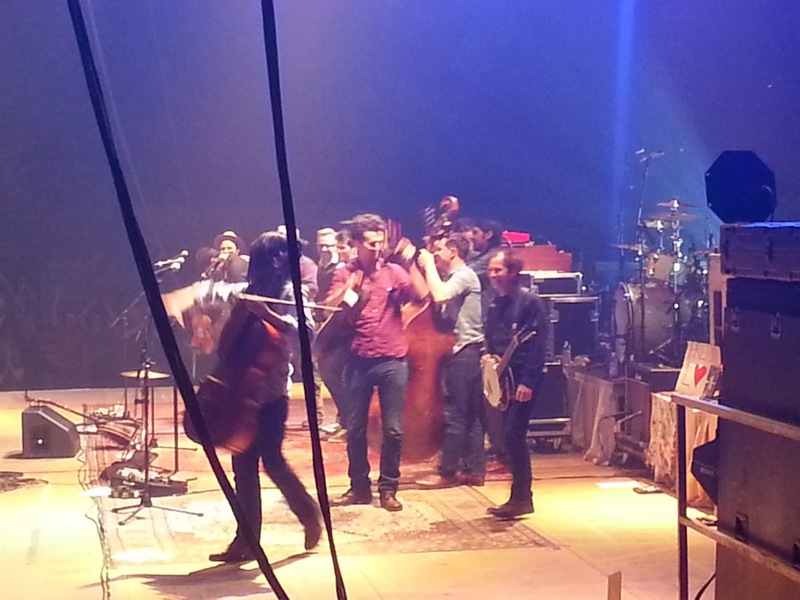 Before the second encore song the Avett's asked Old Crow Medicine Show to come back out and help them after they opened earlier in the night. Both bands performed classics Laundry Room, On the Road Again and Goodnight, Sweetheart, Goodnite leaving the Pittsburgh crowd in a frenzy. 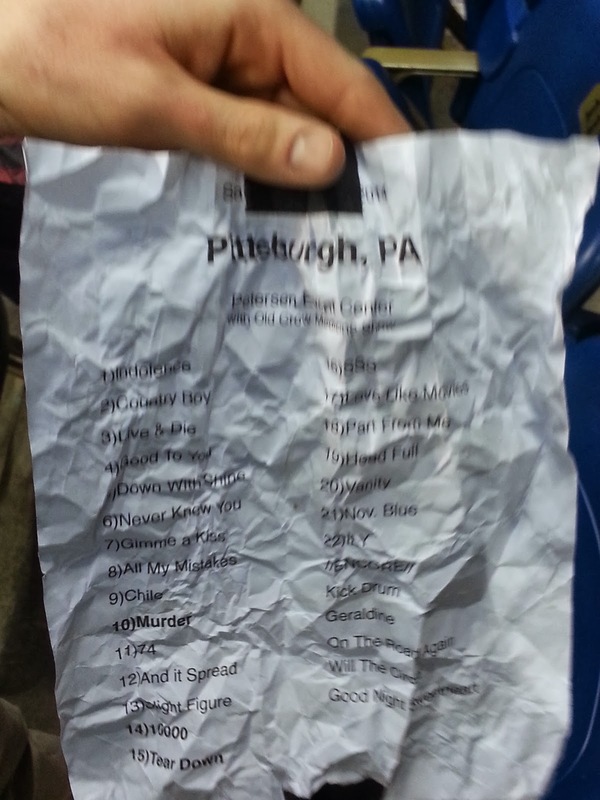 When they were exiting the stage, Seth Avett crumpled up the setlist into a ball and threw it out toward our direction. Some teenage kid jumped for it before I could get my hands on it, but he gladly let me take a picture of it. Pretty sweet. I am pretty happy I will see them soon again at Bonnaroo this summer. They will no doubt send that crowd into the same frenzy that Pittsburgh was in Saturday night.